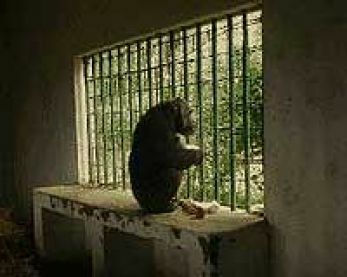 Despite their professed concern for animals, zoos remain more "collections" of interesting "items" than actual havens or simulated habitats. 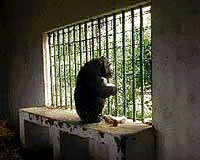 Zoos teach people that it is acceptable to keep animals in captivity, bored, cramped, lonely, and far from their natural homes. Says Virginia McKenna, star of the classic movie Born Free and now an active campaigner in behalf of captive animals: "It is the sadness of zoos which haunts me. The purposeless existence of the animals. For the four hours we spend in a zoo, the animals spend four years, or fourteen, perhaps even longer - if not in the same zoo then in others - day and night; summer and winter.... This is not conservation and surely it is not education. No, it is 'entertainment.' Not comedy, however, but tragedy."